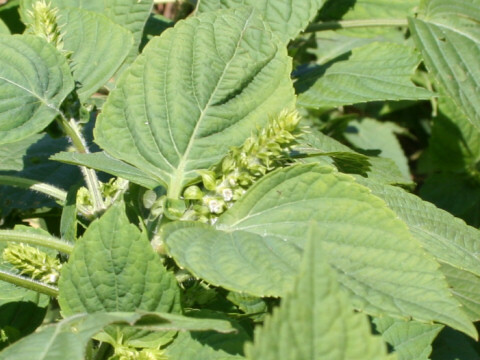 The Beefsteak plant (Perilla frutescens var. 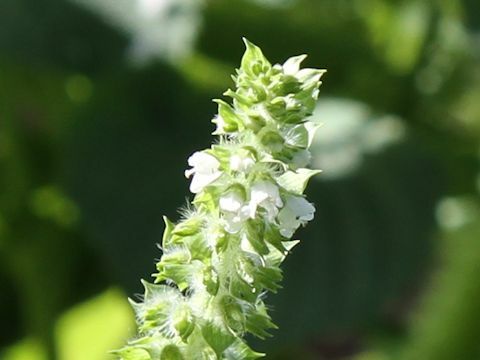 frutescens) belongs to the Lamiaceae (the Mint family). 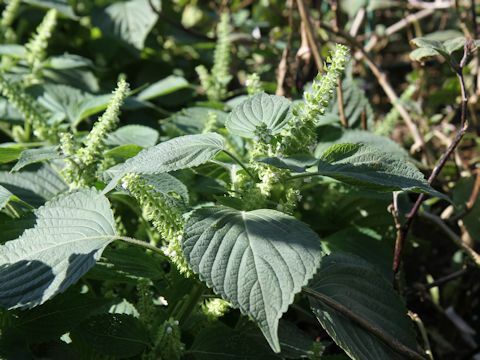 It is an annual herb that is native to Southeast Asia. 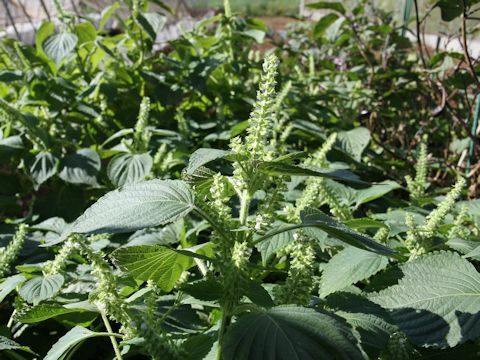 It has been cultivated in China and the Korean Peninsula from long ago, and its seeds are also found in the remains of Jomon Era. 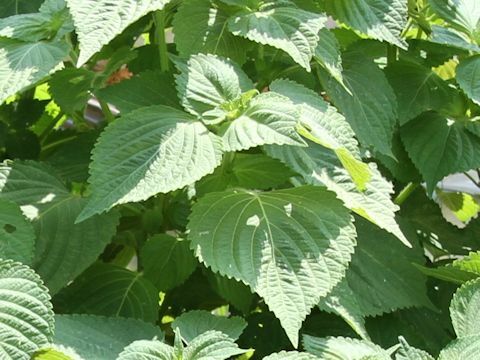 This herb is a variety of Shiso, and it can reach 60-150 cm in height. The leaves is opposite and ovate with toothed edges. 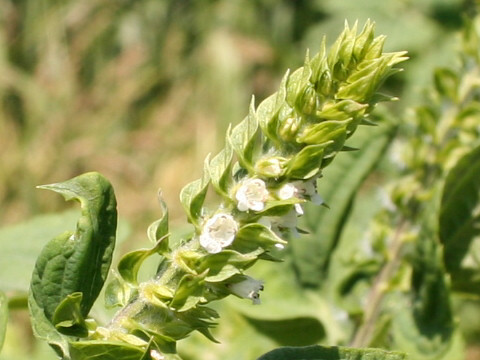 The spikes are borne atop of stems and axils, and bloom white labiate flowers. The beefsteak plant oil is obtained from the seeds, and used as a food or a painting material. 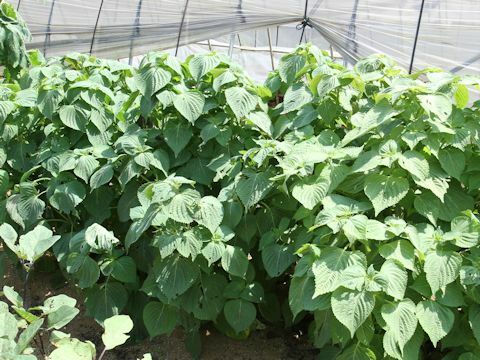 The scented leaves are used in Korean cuisine.